If the MP4 files that you try to play on Samsung Blu-ray player don't comply with any of the standards listed above, you will either fail to open MP4 files with Samsung Blu-ray player or suffer other playback issue due to the incompatible file size, bit rate, frame rate, etc. To get any MP4 files played on Samsung Blu-ray player from USB, you will need to encode MP4 to Samsung Blu-ray Player favorable file format and profile parameters. 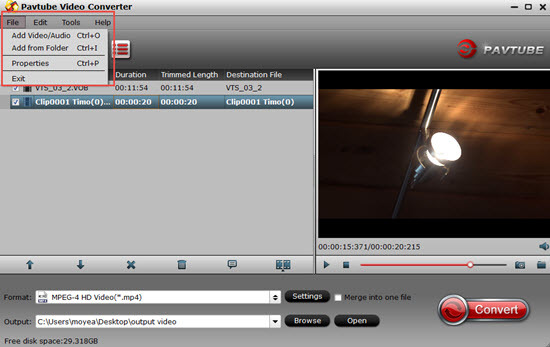 Here is a simple and powerful solution in hand called Pavtube Video Converter. The program has full support for all 4K/2K/HD/SD MP4 files with various different compression codec. You can convert multiple MP4 files to Samsung Blu-ray player most compatible H.264 Baseline Profile/Main Profile/High Profile MP4 video and then flexibly adjust other profile settings such as file size, bit rate, frame rate, audio codec to let them fit with Samsung Blu-ray Player compatible playback settings listed above. Tips: Want to get a fast conversion speed. The good news is that you can not only use the batch conversion mode offered by the program to load multiple MP4 files into the program for conversion at one time, but also take good advantage of the hardware accelerated encoding technology offered by the program to encode MP4 to H.264 codec with up to 6x faster speed when you run your computer on a Graphic card that supports Nvdia CUDA or AMD App technology. For Mac users, you can download Pavtube Video Converter for Mac to perform the conversion on macOS High Sierra, macOS Sierra, Mac OS X El Capitan, Mac OS X Yosemite, etc. Step 1: Import MP4 files into the program. Run the program on your computer click "File" > "Add Video/Audio" to load unsupported MP4 files to the program. 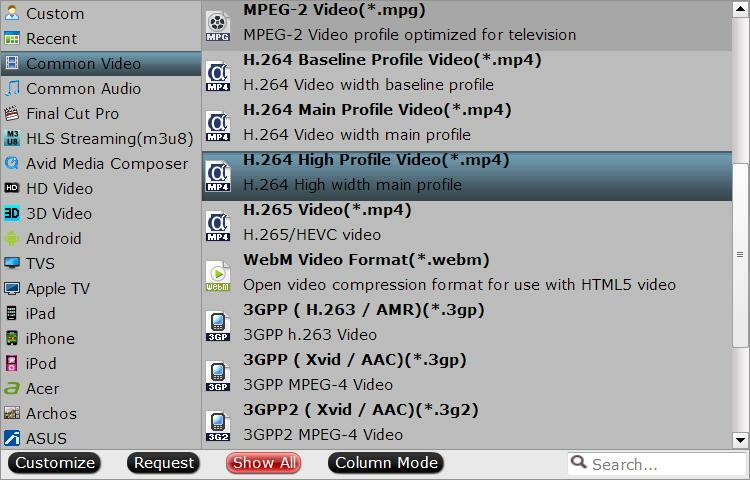 Click the "Format" bar, from its drop-down list, select Samsung Blu-ray Player best favorable codec from "Common Video" > "H.264 High Profile Video(*.mp4)" as the output file format. 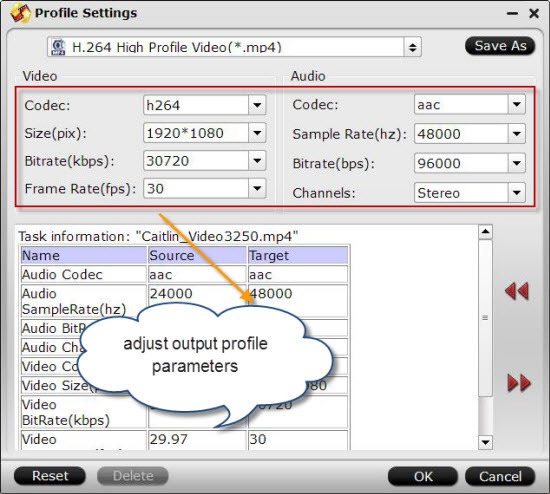 Click "Settings" to open "Profile Parameters" window, you can adjust the output profile settings to let them fit with your Samsung Blu-ray player: video codec as H.264, size as "1920x1080", frame rate as "30fps", bit rate as "30Mbps", audio codec as "AAC", "AC3". Go back to the main interface, click right-bottom "Convert" button, then a window will pop out to initiate the conversion process immediately. When the conversion is completed, hit the "Open Output Folder" on the main interface to pop out the folder with converted files. Then transfer the generated files to your USB drive, plug the USB drive into your Samsung Blu-ray player's USB port for playing MP4 files on Samsung Blu-ray player.